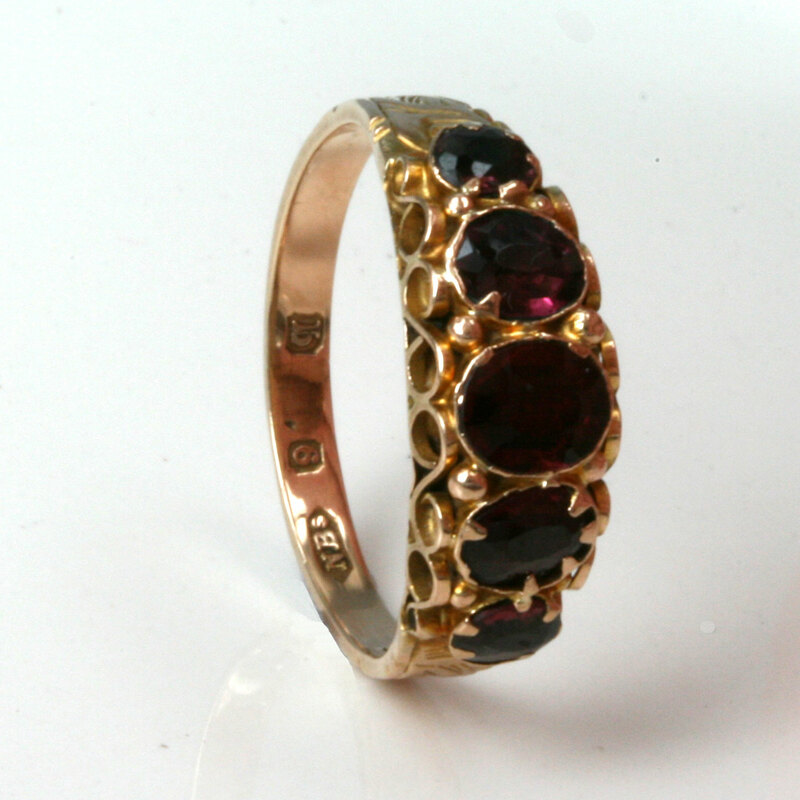 5 stone antique garnet ring. Product code: 969 Categories: Sold Items, Sold Rings. This antique garnet ring is so stunning to look at and appreciate the work of jewellers from over 100 years age and what they could make. Here is one set with 5 vivid burgundy red garnets in a setting that will captivate you. From the work around the stones to the scroll setting all the way down to thehand engraved band, this antique ring is just glorious. Made in 9ct rose gold, the colour of the gold matches perfectly with the garnets and this is a wonderful ring to wear and enjoy.